According to the 2016 research conducted by the University of Washington, Georgia holds third place for the highest death occurrence rate caused by a polluted environment. Every single fact presented here, as shocking as they might sound, happens to be true. With the many negative emotions going through my mind, finding out more about this issue became my goal. After hours of pondering the issue, these devastating results led me to two main questions: Who are to blame for these results? And, what is the economic loss (in U.S. Dollars) caused by it? The first question was relatively easy to answer. 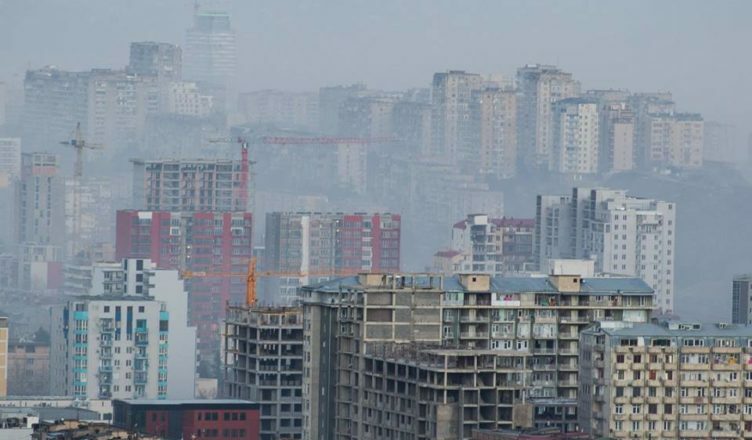 Research carried out by the State Audit Office of Georgia in 2016 claims that there are two main causes of increased air pollution: emissions from construction sites, and emissions from vehicles, with automobiles making up a staggering 71% of the pollution produced by vehicles. However, the second question remained without an adequate answer, even after contacting the Ministry of Agriculture and Environmental Care, the State Environmental Monitoring Agency, several health insurance companies, Socar, and Lukoil. My research resulted in me bouncing from one establishment to another. Some of these organisations either did not have such statistics, or they were too confidential to reveal. Perhaps the most crushing fact that I faced was that not only does the World Bank carry out such research, but it is calculated on a global level! In the 2016 research provided by World Bank, global air pollution damage was estimated at USD 225 B. If such a calculation is possible to be made about the entire world, then from my point of view it is crucial for the Government to create an establishment that will publish these statistics for our country annually. Based on these figures society might then establish a general opinion about which pressing issues the Government should prioritise in order to solve. It is not hard to imagine the chain reaction of loss in productivity that air pollution can cause. For example, let’s consider air pollution as a reason for illness. An employee that is ill cannot be productive, so as a result GDP is affected. After not receiving answers to my question, for the sake of this article I carried out my own personal research on social media, to determine who people think is responsible for such a high level of air pollution. While carrying out a personal survey on Instagram, out of 100 voters 78% blamed the Georgian Government for lacking adequate policies, while the remaining 22% considered that it was the intervention of local business that played a part in such devastating results, such as petrol distributors. The opinion of the public cannot be held up as certifiable research of course, so it is impossible to blame any one company. However, based on that we tried to approach major businesses to ask them about any CSR (corporate social responsibility) campaigns they have had in order to cope with air pollution. Lukoil’s Department of quality control said, “our petrol is the finest. Everything has always been produced up to the finest standards the world has to offer.” (Currently oil refinery quality is up to Euro 5 standards). In other words, I was not informed if they were carrying out any campaign to prevent air pollution. Socar, on the other hand, had a few things to say. The Marketing Manager of Socar, Tatuka Javakhishvili, informed us about several ongoing campaigns to stop environmental issues. Socar supports the use of electric vehicles, they offer a free charging service for owners of electric scooters. “Our team has also contributed to rebuilding the burnt forest of Borjomi; a 2 hectare area of land has been planted with trees with money allocated by Socar Group,” Tatuka Javakhishvili told The FINANCIAL. Socar Group has also built gardens in the Tbilisi suburb of Varketili. At the same time, Wissol also supports the use of electric cars. The company launched its first electric vehicle (EV) charging station in the country’s capital Tbilisi, on the 13th kilometre of Agmashenebeli Alley in July 2017, and plans to expand its chain of EV charging stations nationwide. Wissol Group also organized Eco Drug - E-car racing at Gori West and service centre to promote eco-friendly vehicles in the country. On 5 June, 2018, World Environment Day, Wissol held an exhibition and demonstration ride of E-cars through the central streets of Tbilisi to promote environmentally-friendly transport in the country. (This information was collected from the Wissol 2018 CSR Report). The fact that there are several companies that are contributing to the wellbeing of the environment is reassuring. However, a lot more work remains to be done before we can fully manage what is fast becoming one of today’s most pressing issues - major air pollution.